Bio Industry which is linked closely with Cosmetic & Pharmaceutical Industries comes into the spotlight as new growth power in globally. 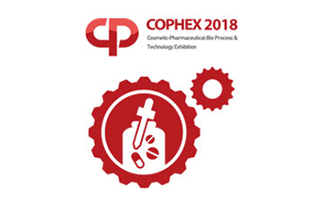 COPHEX recreate under the name of “Cosmetic ∙ Pharmaceutical ∙ Bio Process & Technology Exhibition” COPHEX 2018 is the Korea’s leading Pharmaceutical & Bio & Cosmetic Manufacturing Exhibition, with offering ideas of quality improvement and product development. With the participation of overseas & domestic exhibitors with world leading pharmaceutical & bio & cosmetic manufacturing companies, COPHEX is great opportunity for you to initiate or expand market share in Korea as well as Asia-Pacific Region.